I was a part of an organizing team for the women's right day in Ísafjörður, Iceland. My main focus was on the creative part of the day and finding ways to raise money. 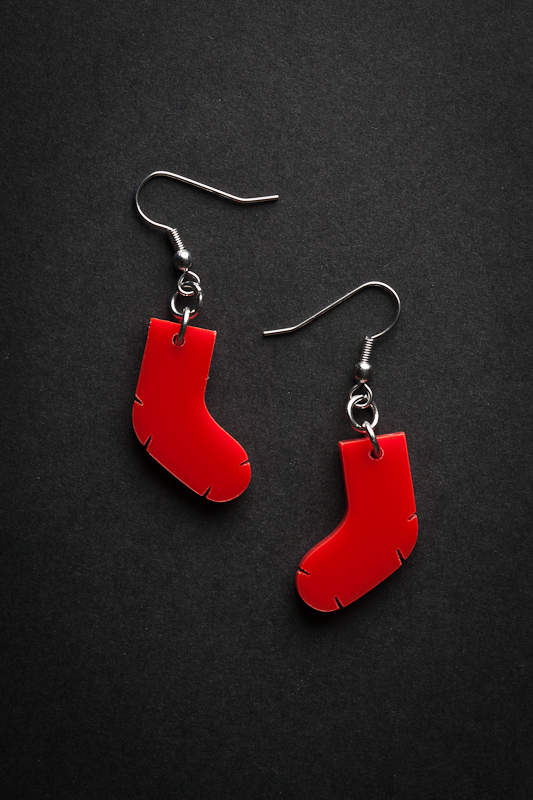 The red sock is an old simple that everybody know in Iceland and does it refer to women fight for their rights. We did a campaign where we encourage women to wear red socks on this day to show support to women's right and we also encourage men to wear any red piece of clothing to show support as well. We asked people in the village to knit socks and give to us so we could sell and women who did not have red sock could buy one. 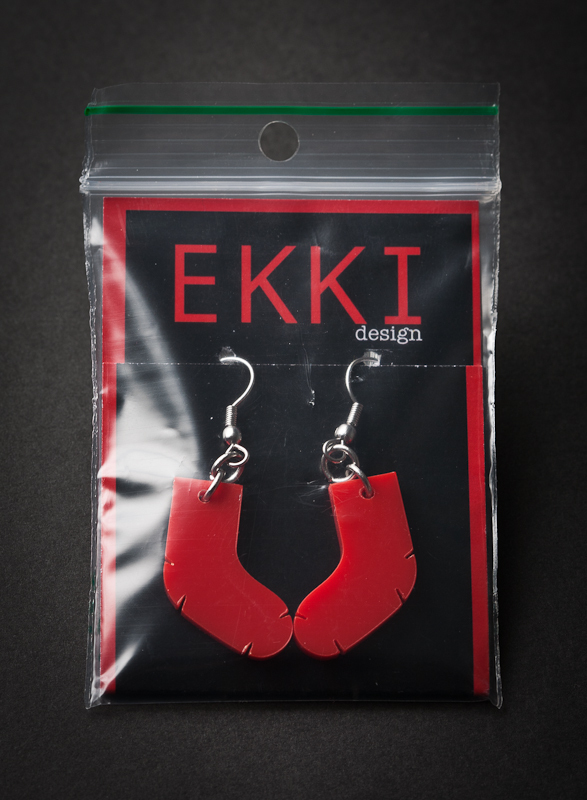 I designed red sock earrings that were sold and part of the profit went to this charity as well. All the pictures on this page were taken by Baldur Pan.